Chris Pratt issued a warning to his fans on social media. 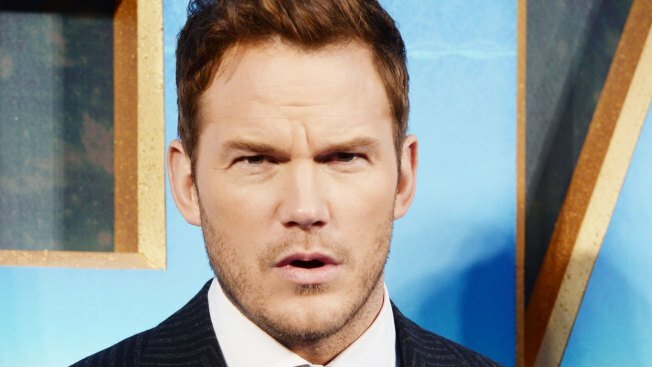 Chris Pratt wants you to know if you think you're talking to him over social media and he's asking for your phone number or personal details... it's not him. "PERVY DUDE ALERT!!! (Not a joke) It’s confirmed: somebody is trying to pretend to be me on Facebook (and maybe other social media platforms) apparently hitting on a lot of different female fans, trying to get their numbers and who knows what else. I’m not joking," he wrote. Pratt wrote that he finds the behavior "reprehensible" and is working to identify the culprit. PERVY DUDE ALERT!!! (Not a joke) It’s confirmed: somebody is trying to pretend to be me on Facebook (and maybe other social media platforms) apparently hitting on a lot of different female fans, trying to get their numbers and who knows what else. I’m not joking. Please know, I find this behavior reprehensible. If I find out who it is I’ll have their account shut down and seriously would like to punch them right in the GD mouth. You hear that imposter!? Stop. My message to any fans who are contacted by someone claiming to be Chris Pratt: Look for the BLUE “VERIFIED” CHECKMARK next to the name. If there is no checkmark by my name that person is an imposter. I’m sorry. Tell your siblings. Educate our young ones. It’s probably mostly kids who would fall for this. Makes me sick. It terrifies me to think someone could be hurt, their feelings or much worse, by this imposter/potential predator. I’ve had many, many people tell me about this. It’s not an isolated incident. If anyone is in contact with this person block them immediately. If it’s you doing it, I’m warning you. Stop right now or you will@be very unhappy with the outcome. Go find Jesus. �� praying for you. "If I find out who it is I’ll have their account shut down and seriously would like to punch them right in the GD mouth. You hear that imposter!? Stop. My message to any fans who are contacted by someone claiming to be Chris Pratt: Look for the BLUE “VERIFIED” CHECKMARK next to the name. If there is no checkmark by my name that person is an imposter. I’m sorry," he wrote. Pratt also had a direct warning for the person responsible. "If it’s you doing it, I’m warning you. Stop right now or you will be very unhappy with the outcome. Go find Jesus. Praying for you," he wrote.